Solid visuals and an excellent execution by Sara Ali Khan spare this romantic tale from sinking under a downpour. Mandakini otherwise known as Mukku (Sara Ali Khan) is a feisty, young lady living in Kedarnath with her family. Her dad (Nitish Bharadwaj) is a nearby cleric and things get muddled when Mukku becomes hopelessly enamored with a Muslim kid and neighborhood pithoo (human doorman) Mansoor (Sushant Singh Rajput). While the between confidence sentiment between characters of various confidence frames the center of the story, nobody foresees the other groundbreaking occasion, that is going to surprise this heavenly place. 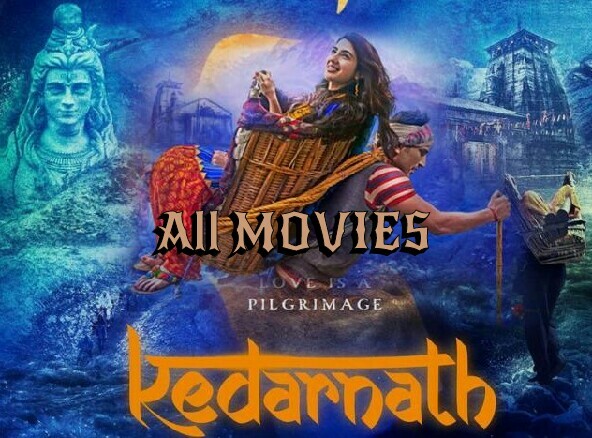 Kedarnath highlights a very commonplace romantic tale, that gets a lift on account of the climactic surges that crushed human progress in the mountain town of Uttarakhand, in 2013. The screenplay has its qualities and shortcomings, yet through the peak and trough of sensational waves, what emerges as a strong power is youthful debutante Sara Ali Khan. Her first execution on celluloid has the appropriate measure of flame to start an association with the group of onlookers. The film is situated in the valleys and mountain scopes of Kedarnath and the automaton helped cinematography by Tushar Kanti Ray, which investigates the pleasant settings, is noteworthy. The film catches the magnificence of the Himalayas with fresh and aesthetic visuals. There's additionally the curious, residential community setting, where local people treat Hindu explorers with most extreme regard and where Muslim doormen, have no hesitations in appealing to Shiva and sharing the confidence of the lovers. The composition by Abhishek Kapoor and Kanika Dhillon quietly reflects upon the common elements of Kedarnath. There's likewise a concise remark on the commercialization with lodgings, shopping centers and the travel industry, which has affected the environmental equalization of spots like Kedarnath and added to common disasters. These relevant issues, which had a ton of potential, are quickly contacted upon and afterward left in profound waters. The emphasis remains entirely on the romantic tale, and keeping in mind that Mukku and Mansoor share some delightful minutes, the account takes a smidgen also long to set up their sentiment. What compensates for the moderate pace of the film are the exhibitions and the CGI-driven climactic bits. They meet up to make a solid, emotional effect. Sara Ali Khan as Mukku is a live wire. She helps you to remember a youthful and riotous Amrita Singh (her mom) in movies like Betaab and Chameli Ki Shaadi. Her certainty and on-screen beguile are a demonstration of her capacity and ability. She looks ravishing in the desi-young lady symbols and she claims each scene that she's present in. Sushant Singh, in a marginally under-assumed job, bolsters Sara's endeavors, yet we've seen him give better exhibitions previously. Watch out for the scene where he sings Lata Mangeshkar's Lag Ja Gale (from Woh Kaun Thi, 1964) where his character's naivety is carried out with deftness. For a romantic tale, there are no sentimental tracks that truly hold your consideration. Aside from the melody Namo, Amit Trivedi's music doesn't make the required mindset for an affection adventure like Kedarnath. Executive Abhishek Kapoor's endeavor to make a film set against the setting of a characteristic cataclysm of this extent is goal-oriented and earnest. The setting is the thing that has any kind of effect, in light of the fact that the basic and unsurprising romantic tale doesn't generally transcend the water level. The shrewd utilization of CGI blended with cutting-edge shots to delineate minutes like a torrent and the explorer city submerging submerged makes a true effect. The execution in these zones, alongside a paramount introduction by Sara, is the thing that keeps the film above water.